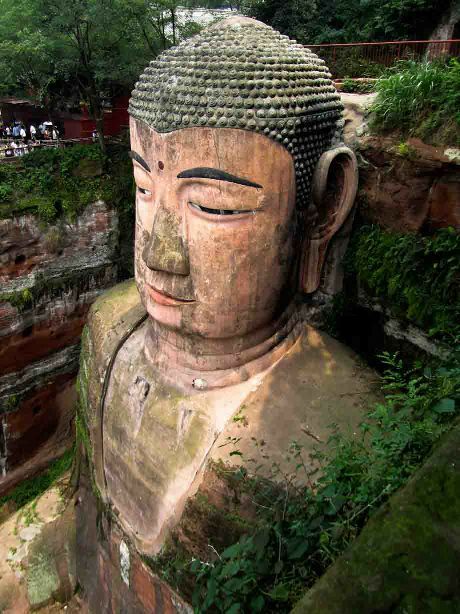 The Giant Buddha of Leshan (乐山大佛, Lèshān Dàfó) is 71 meters tall and its shouders are 28 meters large. 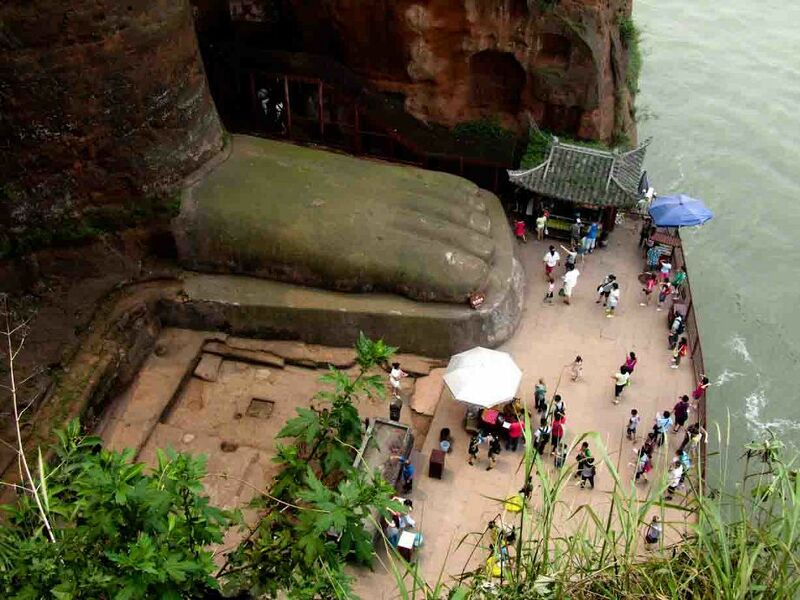 It was carved out of a cliff during the Tang Dynasty and lies in front of the water, exactly at the confluence of the Minjiang, Dadu and Qingyi rivers, in Sichuan Province. 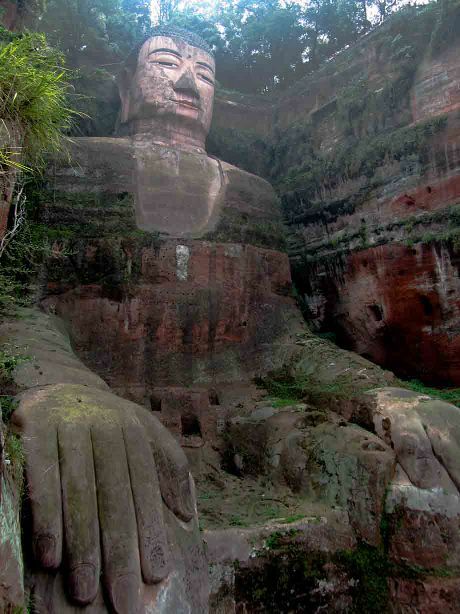 The Leshan’s Buddha is by far the largest stone Buddha in the world. 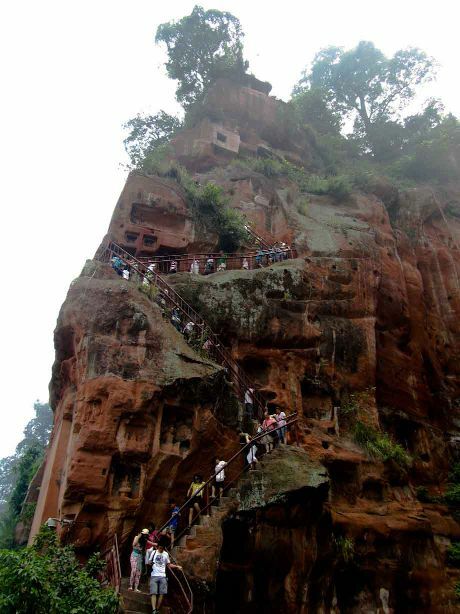 There are three main ways to get to Leshan. The first one is to take a bus from Chengdu, the capital of Sichuan Province. 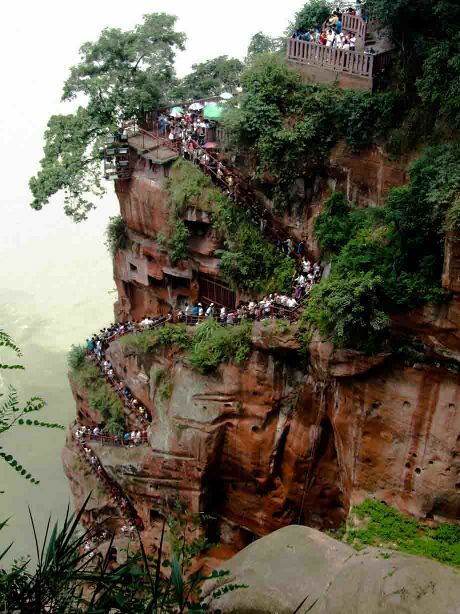 The second way is to take a bus from another popular touristic attraction, Mount Emei. In both cases the trip takes about two hours, the ticket costs less than 50 Chinese yuan and there are buses that leave every 30-60 minutes. The last option is to take a tour. There are plenty that leave from Chengdu every day. If you are in Chengdu you can leave on the morning and come back the late afternoon. 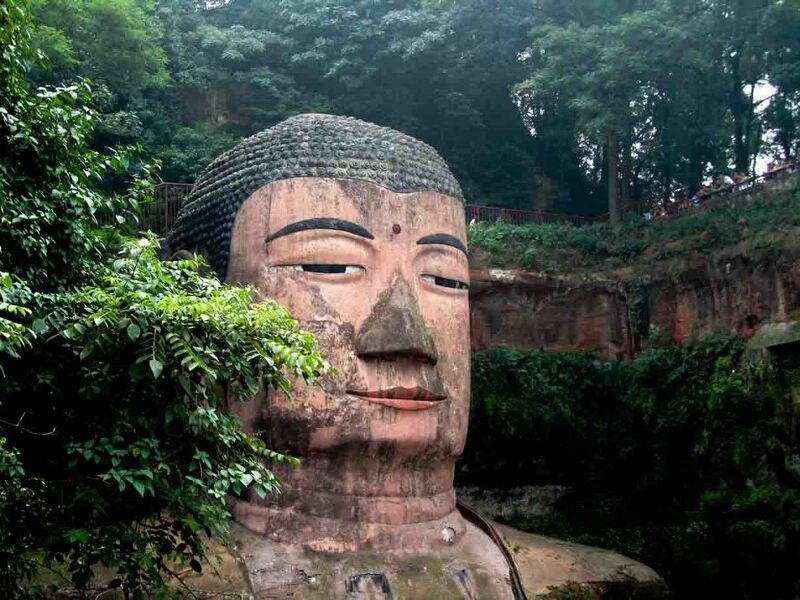 However if you have the time I suggest you to visit Mount Emei too. 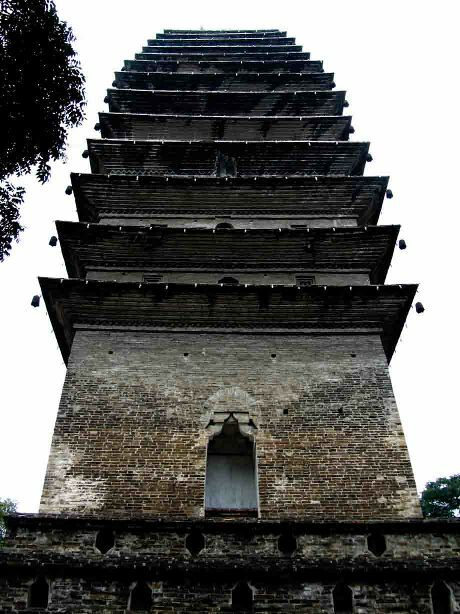 In this case you should take at least three days and two nights to have the time to climb Mount Emei. You can sleep the first night in a hostel (or hotel) at the feet of Mount Emei and the second night at the top of the mountain. 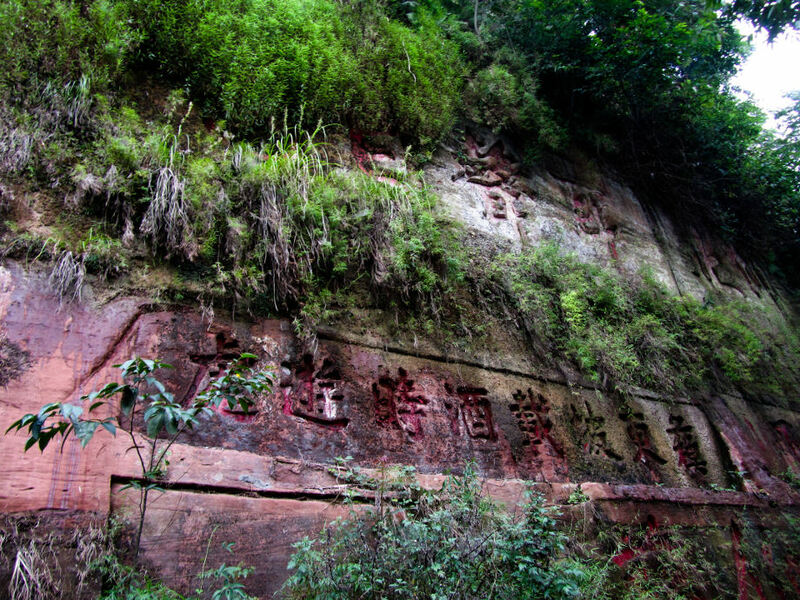 Here you find the details to visit Mount Emei. 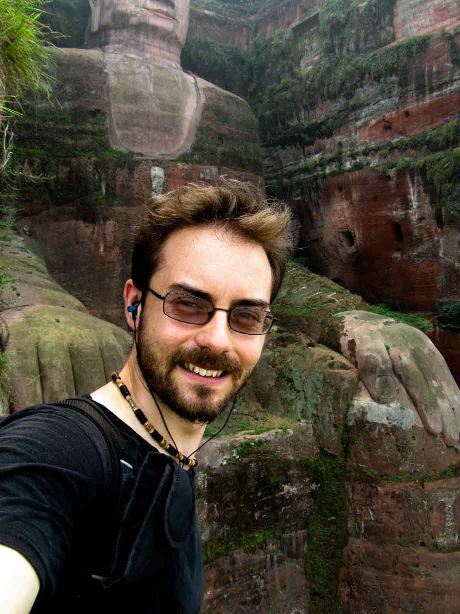 Scroll down to see more photos and read about my experience in Leshan! 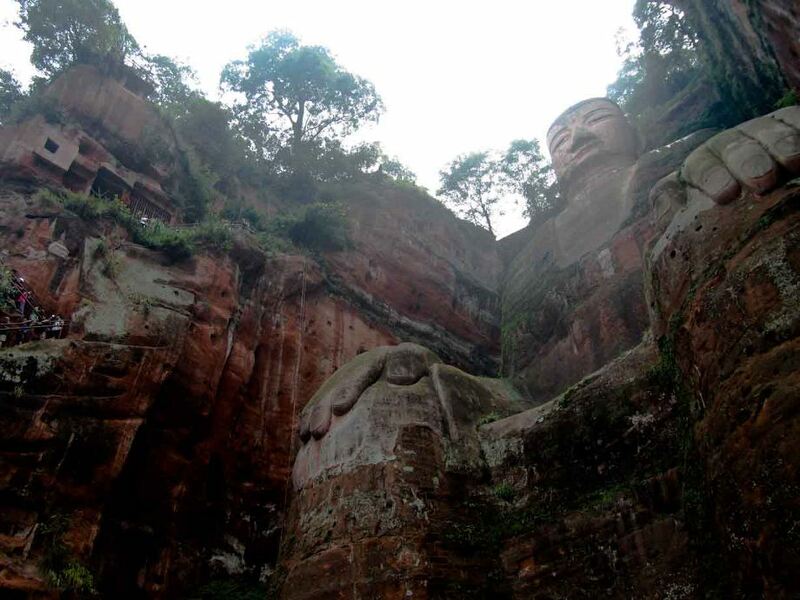 I was coming from Lugu Lake via Mount Emei when I arrived in Leshan at about 11 a.m. 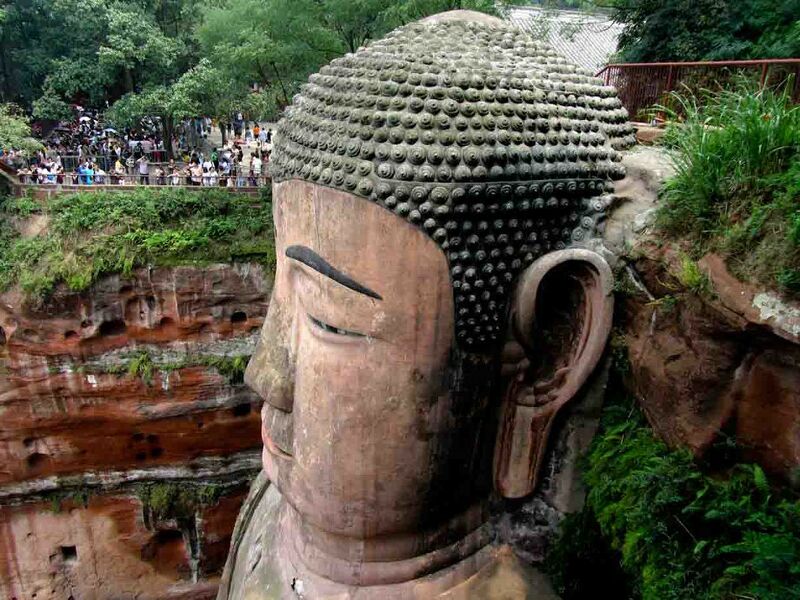 I had booked a room in hotel on Agoda.com as there are no hostels in Leshan. As soon as I arrived at the bus station I took a taxi to my hotel, which was located on the downtown, near the river. 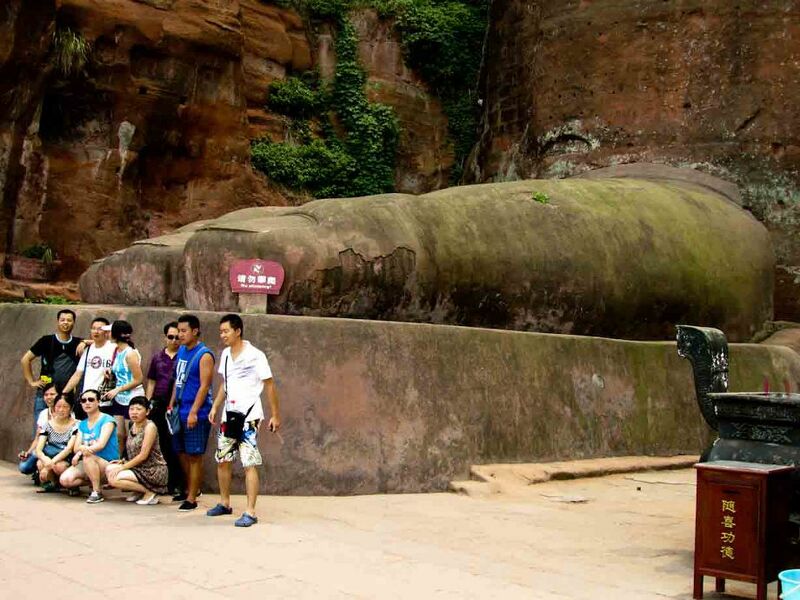 Leshan is quite small and the taxi’s fee should always be under 15 yuan. I let my luggage on my room, had lunch and walked to the park that hosts the Buddha (the entry ticket costs 90 yuan) and prepared myself for a long queue. It was July and the park was packed with Chinese tourists. I guess if sleep in Leshan and you arrive early on the morning there is no queue as most of people come directly from Chengdu. 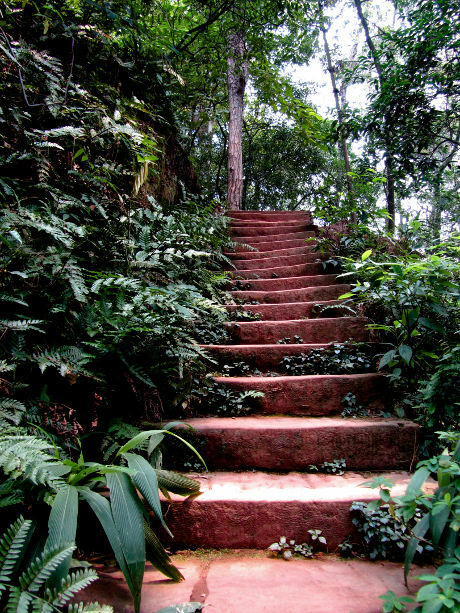 But it wasn’t that terrible and after about an hour I managed to descend the cliff through the stairs (awesome experience, see photo below) and touch the Buddha feet. 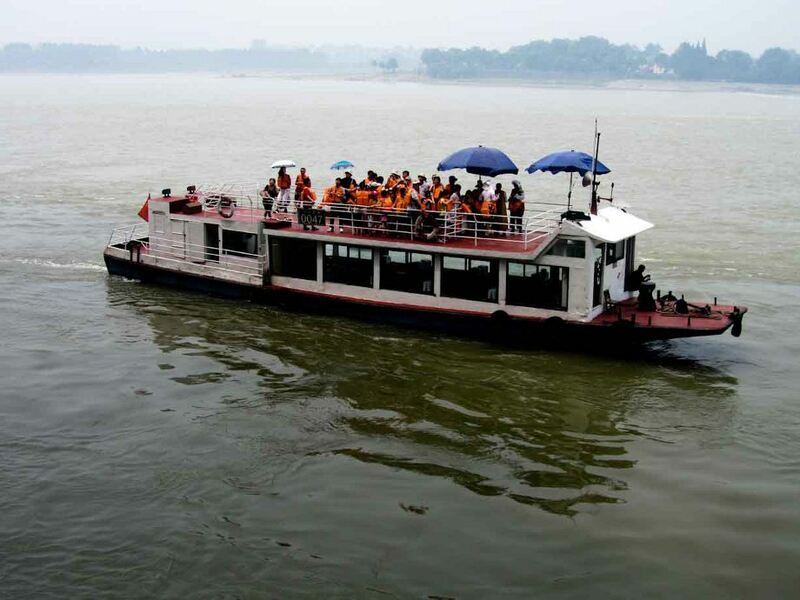 An alternative way to see the Buddha – probably better if you want to take some pics of the wall statue, – is to take a ferry from the dock (70 yuan). 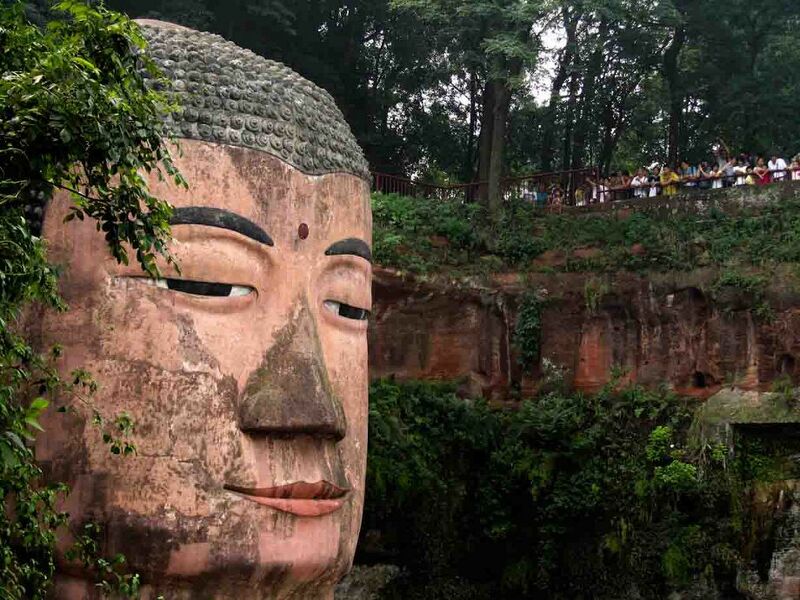 The trip will take about 40 minutes but you wan’t have the possibility to visit the park which, beside the Buddha is quite interesting as you’ll walk through a path craved on the cliff with the river at your right side. I spent 3-4 hours wondering around the park and then I come back to the hotel, always walking. If you decide to walk there from downtown (it takes about an hour) be careful when you reach the bridge cause isn’t exactly pedestrian friendly. There isn’t much else to see in Leshan so the morning after I took a bus for Chengdu where the giant pandas were waiting for me! Great photos, and advice. I wish we had hiked the path around the Buddha (we only took a boat ride). 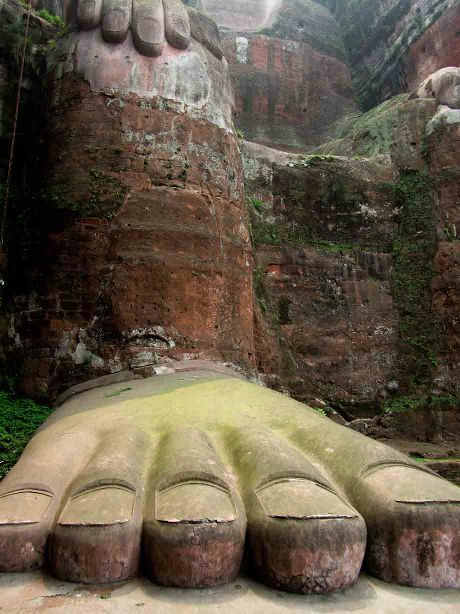 Being that close to theBuddha’s toes would have been wonderful!